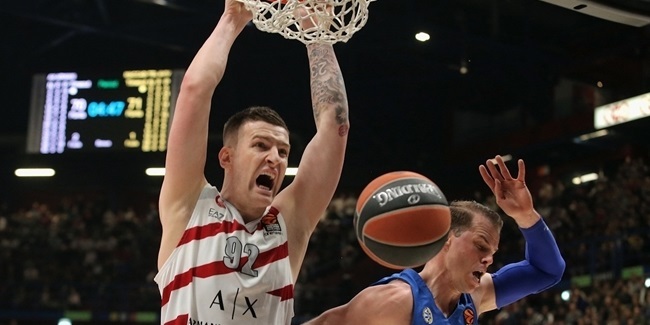 Herbalife Gran Canaria and AX Armani Exchange Olimpia Milan battled for 45 minutes on Friday night to determine a winner in a great, thrilling showdown that went to overtime. When the dust settled and Marcus Eriksson missed from downtown almost at the buzzer, Milan was the last team standing, getting a 104-106 road win. Eriksson had previously buried an incredible three-point shot at the end of regulation to take the game to overtime, conjuring a running shot on one leg that set Gran Canaria Arena on fire – one of the best shots you will see in the Turkish Airlines EuroLeague this season. It was the highest scoring game of the season as the teams combined for 210 points. Milan was also involved in the previous record, downing Buducnost VOLI Podgorica 111-94 on January 3 for a combined score of 205 points. To get the win, Milan had to overcome many obstacles. First of all, it arrived in Gran Canaria without Nemanja Nedovic and Kaleb Tarczewski. Then, midway through the second quarter, the Italian team lost star center Arturas Gudaitis to a severe knee injury that is set to keep him sidelined indefinitely. 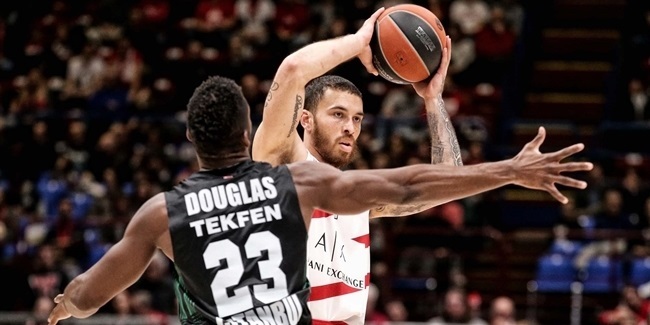 Finally, Mike James, the EuroLeague's top scorer, fouled out with 5:30 left in regulation, leaving Milan without its two main scoring references in crunch time. Fortunately, new firepower had been added earlier in the week: none other than former EuroLeague champion James Nunnally. And in overtime, Nunnally dominated, scoring 10 of his 22 points in the extra period to lead his team to victory. 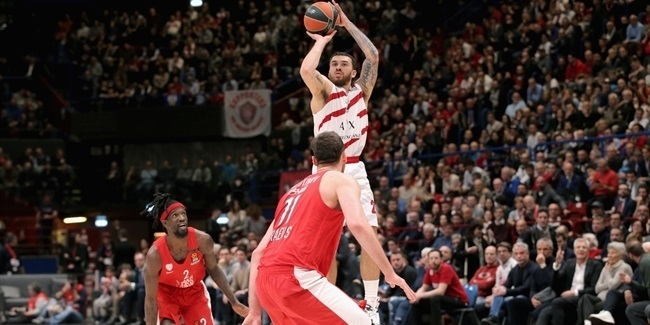 That matched his career-high in scoring – Nunnally previously had 22 points against Olympiacos Piraeus, playing for Fenerbahce Istanbul, on November 15, 2017. After the game, victorious coach Simone Pianigiani was understandably eager to hail the influence of the new signing, enthusing: "He has been with us only from Monday. He’s not in perfect shape but he showed his character. This is why we signed him for next season as well, because our club doesn’t just sign players just because we have a problem now but because we are looking to build something. "He started in the right way, not forcing his shots and trying to stay with his teammates. When we were without Gudaitis and without Mike James I asked him if he wanted to stay in. He said he felt good, so we tried to give him the space and he played an unbelievable game. Everybody knows about his technical skills but he turned the game with his character."